Joe Louis Barrow Jr has served as CEO of The First Tee for over 17 years and has has guided the organization from impacting hundreds of kids in 2000 to over four million children annually in 2017. He has announced his decision to step down from this position on the occasion of the organization’s 20th Anniversary and leaves The First Tee well positioned to enrich the lives of young people at more than 1,000 golf courses and over 8,000 schools. 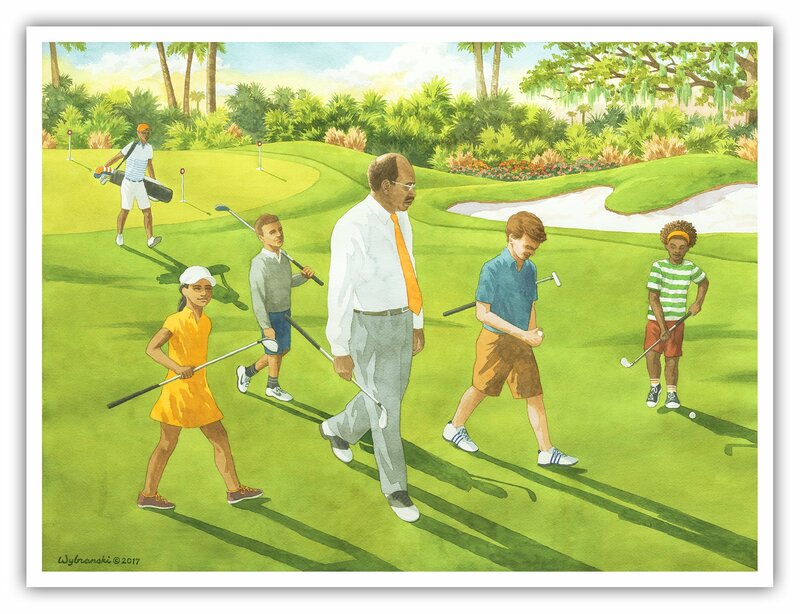 In honor of his retirement, Lee has created an original painting for The First Tee which captures the spirit of Joe Barrow and his commitment to kids and to the using the game of golf to build character and teach life lessons. Fine art prints, measuring 18” x 24” are signed by the artist.